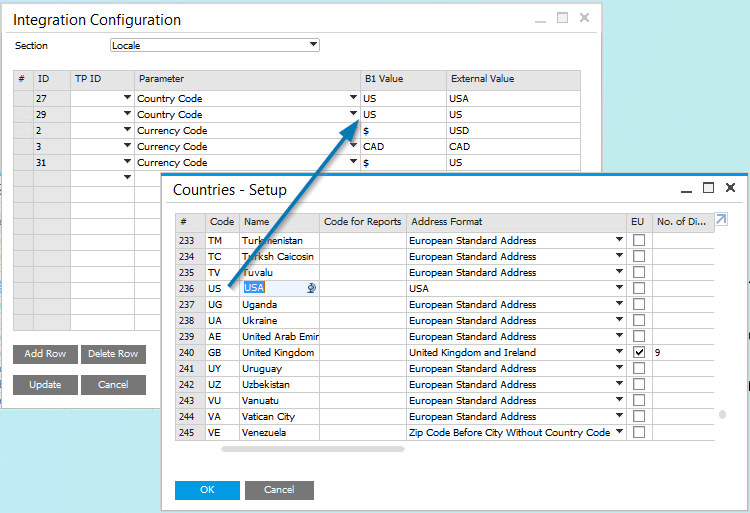 Configure Locale settings for SPS Cloud EDI including Country and Currency. 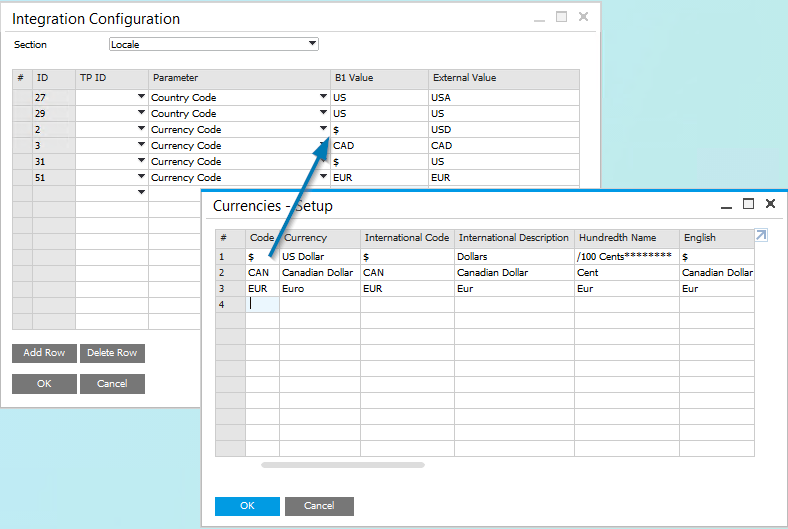 This configuration option is used to map Country and Currency in SAP Business One to SPS Country and Currency Qualifiers. Countries are configured by navigating to Administration > Setup > Business Partners > Countries. Currencies are configured by navigating to Administration > Setup > Financials > Currencies. See the screenshot below for an example of mapping Country. Country information can be configured as shown. See the screenshot below for an example of mapping Currency. Currency information can be configured as shown.